Choosing a place to stay while on vacation can be a stressful decision since there are so many variables to consider, things like location, expenses, facilities, safety, and more, which is why I’m happy to share my favorite place to stay while in Seoul. The Seoul House run by Kenneth Kim has worked out perfectly for my past two visits to Seoul. (Edit we have been for our third stay recently.) Just across from Times Square Mall, one of the largest malls in Seoul, it is located in an area called Yeongdeungpo, just south of Yeouido and the Han river. Times Square Mall is literally across the street from The Seoul House apartments which makes it really convenient for things such as E Mart, Kyobo Book Store, restaurants, and it also has a movie theater with the largest permanent 35m screen in the world. It also has an Electro Mart, which is a store geared towards men that even has a bar inside. Eating out in the Mall in Korea does not have the same stigma as in the US and there are some very good restaurants in the mall, including one with really tasty food run by the chef of YG Entertainment. There’s lots of good snack and ice cream places too. The green tea ice cream was amazing, as was the raw milk ice cream. At popular times there are often lines outside restaurants of people waiting their turn to dine. 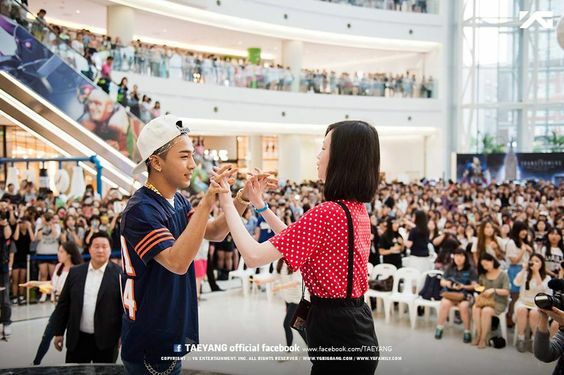 This mall is also famous for being the site of the very first episode of the Korean variety show, Running Man. Times Square Mall also frequently holds Kdrama and Kpop events, which is really cool if you happen to be visiting during one of these events. Then about a minute further away is a ‘Food Street’ which is open almost every hour of the day and night and has hundreds of restaurants to chose from. The food street also includes a restaurant run by the father of one of the members of CN Blue. Hwang’s Eel Restaurant is owned by the drummer Kang Min Hyuk’s dad. Then of course there’s all the nearby street food vendors, which are perfect for a quick snack on the way to, or from, the subway stations. If you need help above what Ken provides there is a brand new tourist information office right across the street. You can see it from the apartment windows. 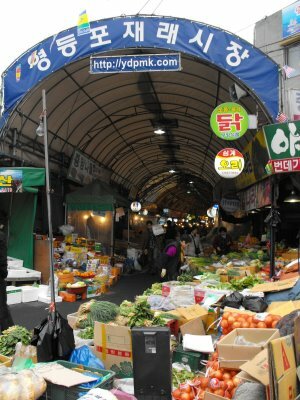 And then if that isn’t enough there’s also a traditional market about 5 minutes walk away, and a street vegetable market on the way to Mullae Subway station. If you get tired of all the hustle and bustle there’s even a garden tucked in behind Times Square Mall as well as a roof garden. Or if you need something even more relaxing there are a couple of spas/jjimjilbangs in the neighborhood. My daughter tried one with her Korean friends and they had a fun time, but obviously no photos. The apartments themselves are quite small compared to those found in much of America, except maybe NYC, but they have everything you need, including washing machine, wifi, TV, microwave etc. Ken even provides bread, jam, and coffee packets so if you want you can have something to eat before you head out in the mornings. Personally we tended to grab street food on our way out, or stopped at one of the nearby amazing cafes for breakfast. The bathroom is Korean style in that the shower is not separate from the rest of the bathroom except by a curtain, so remember to wear your bathroom slippers when you enter. (Ken provides these for you.) We usually stay in the apartment that sleep 4 and you can check out all the photos of the room at http://www.theseoulguesthouse.com (hint, notice the steps up to the loft bed, the apartments are not necessarily suited for very large or handicapped people, and these apartments are obviously built to Korean standards not American ones.) Since the apartment sleeps four it works out to be an economical option for a family or group of friends, plus Seoul is such a fantastic place you shouldn’t be spending much time there anyway. The door to the building and to the apartment work by a keycode, the street is well lit, a fire station and hospital are nearby and we never once felt uneasy it the area, even when coming home in the wee hours of the morning. But the major reason we stay at The Seoul House is that it has become our home in Seoul. We feel comfortable and safe there and enjoy everything in the surrounding area, which has a much more local neighborhood feel than some more touristy areas such as Hongdae, Itaewon, or Gangnam, yet it is easy to get from it to all the tourist areas and must see sites. In spring time it is close to one of the biggest cherry blossom festivals and not too far away from KBS if you are lucky enough to get tickets to KBS Music Bank. The biggest reason, however, is our host Ken. Ken makes sure to greet guests at the bus stop from the airport, or help arrange a private taxi, he guides you through all the practicalities of the apartment and then spends at least 30 minutes showing maps and suggesting places to see. He has a lot of experience of the local area and showed us around the mall, especially to E Mart for our groceries and necessities, and recommended restaurants, ice cream shops etc. He has become like family to us and we have occasionally gone out to eat with him. He makes sure you have a transport card and explains how it is used, and gives directions to the closest subway stations. He also gives you his phone number in case of any difficulties that might arise during your daily adventures. He also helps book tours and events, and pretty much does everything he can to ensure you have an amazing and memorable trip to Seoul. Many guests, like us, are repeat visitors to The Seoul House and wouldn’t dream of staying anywhere else. So if you’re planning a visit to Seoul consider staying at my favorite place. If you want a more personal experience you can also stay at their private home which I would definitely do if I travel solo to Korea sometime in the future. You may also like to check out KBS Studio Tour, Kpop Musings, Korean Tea, A look at Hongdae, as well as other posts. Photo credits to original owners. To Kenneth Kim, to Running Man /SBS, with no 13 from pinterest, to Elle Marzec and myself. ← Korean Variety Show Games, Part 3.